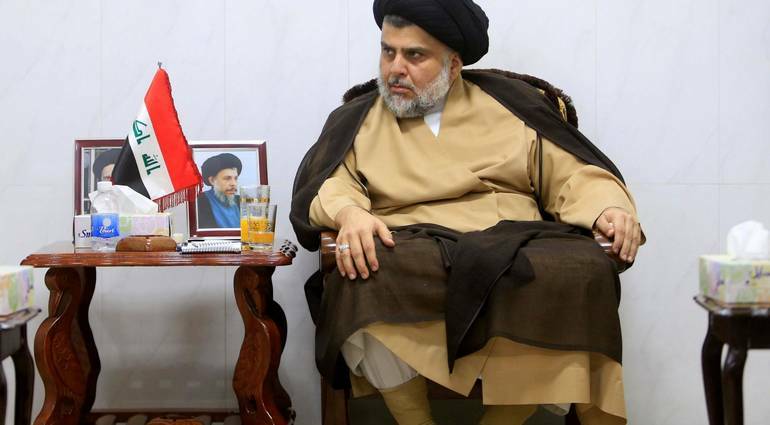 A source familiar with the presence of the leader of the alliance of Sason, Moqtada al-Sadr, in Baghdad, to follow the latest political developments, pointing to displeasure of some members of his coalition, for election to Mohammed al-Halbusi, the head of the Iraqi parliament, contrary to his desire to vote in favor of rival Khalid al-Obeidi. The source, who declined to be named, “that” quite a number of other allies voted for Mohammed Halbusi, which embarrassed the leader of the coalition, Mr. Moqtada al-Sadr, after making promises to support the nomination of rival Khalid al-Obeidi leader of the victory alliance led by Haider Abadi, “according to quoted the new world newspaper. On the other hand, another source in the Fatah alliance said in an interview with the “New World” that “the Alliance Suron promised to elect Halbusi as President of the Parliament, but did not, but we in the conquest we elected their candidate Hassan Karim as the first deputy speaker of parliament, without leaving our promise for him”.